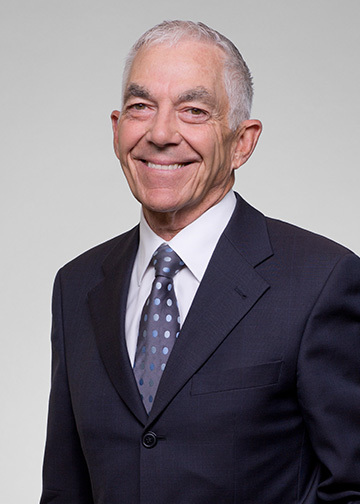 Michael Kay, a senior partner, joined the firm in 1970, one year after admission to the Bar of Québec. Having studied at the Université de Montréal, he is fluently bilingual and has been practicing his profession in both languages. Right from the beginning Michael chose litigation as his career path. He continues to practice his passion for this field of endeavor, specializing in Insurance and Professional Liability and Bodily and Personal Injury. On behalf of individual clients, he has vast experience in the handling of bodily injury claims, malpractice issues and disputes with insurers. He has and continues to represent major insurance companies, pursuing subrogation claims, as well as in defence of liability and policy coverage matters (both defence and subrogation claims within his scope of expertise). He has been invited on many occasions to speak, and has participated as a lecturer in the Bar of Québec Continuing Education Program. Often times his advice and counsel is sought by his peers, who also refer cases to him that fall within his area of expertise. Since its inception, the Québec Bar Lawyer’s Professional Liability Fund has mandated Michael to defend its interests and those of lawyers against whom claims have been made.